Yes you read that right ! Me, Alexandra Redfearn, I am going to be a bride, and I could not be more excited. I have dreamt about getting married my whole life, I am obsessed with weddings and ecstatic to be planning my own. I didn't not expect my amazing FIANCE to propose at all (even though we have been together for 7 years) but it was the most amazing surprise I have ever had. There shall be a whole post coming very soon all about the engagement, when and where it happened etc but for now this could not wait. I have been so excited to get home and start all the planning and the celebrating of course. First things first we have decided to have an engagement party! They aren't as popular as they used to be however as I was away when the proposal happened I haven't had chance to celebrate with my family and friends so we thought it would be a really nice idea to do something all together. Its only going to be small and its going to be in a bar in the city centre which is a bit fun and quirky :) I have already started buying decorations and thinking of fun ideas for nibbles etc so once the time arrives I will share with you what it turned out like. 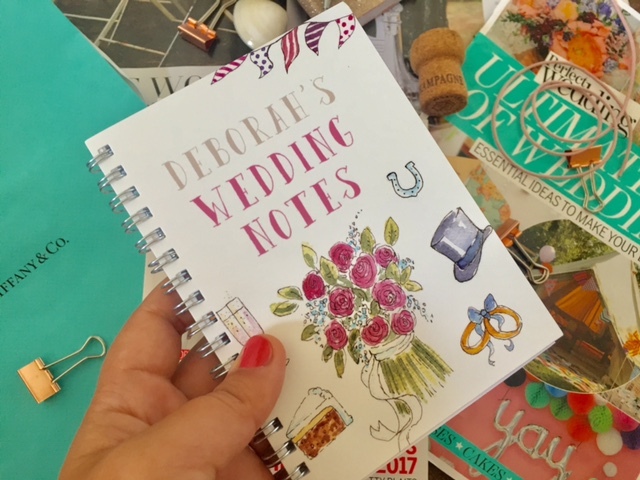 Obviously another very important must do was to get alll the right wedding stationary ! 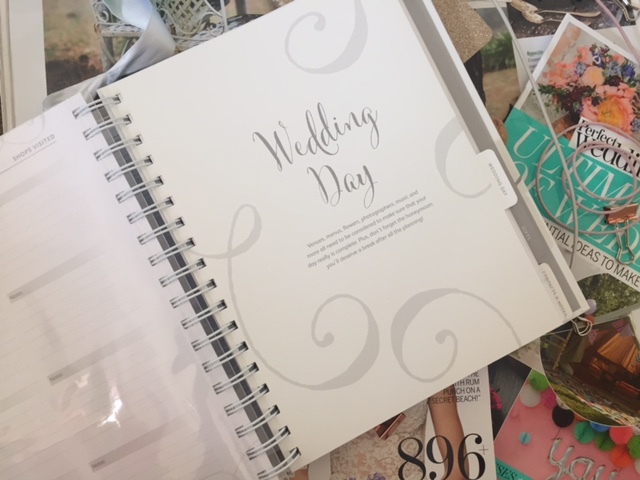 I must admit I was very excited to choose the perfect wedding planning book and all the cute note books I would need and of course start creating excels ;). 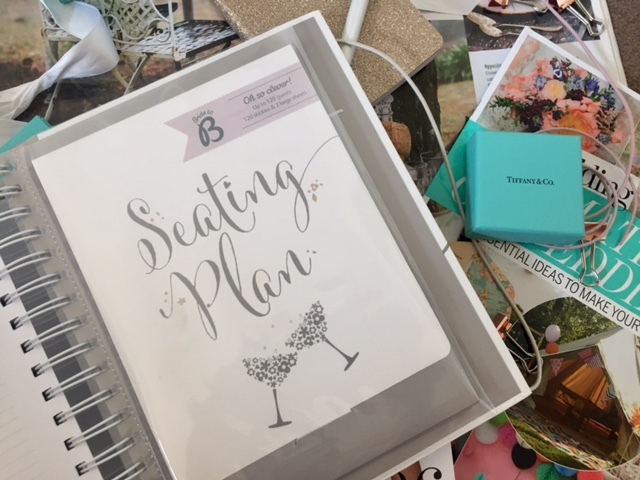 I found this amazing planner on busyb.co.uk, a company that have previously featured on Champagne & Lemonade (Review here & here) . and I sent the link to my mum to see what she thought, she agreed on how pretty it was! When I arrived home a little gift bag was waiting for me with the planner inside which was sooo sweet and I was very excited ! 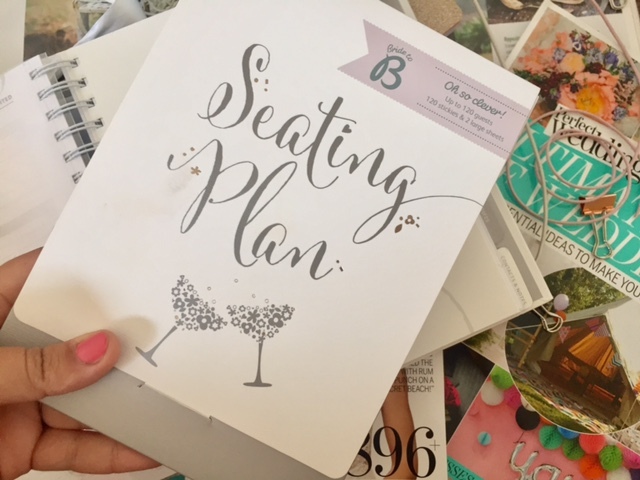 Busy B also very kindly sent me the seating plan* that goes along with the planner so that when the time comes I can use it to organise where all my guests will be seated. Its so handy and it actually slots in to the planner as well. I also picked up this cute sparkly note book from Sainsburrys for £2 just do jot down any notes and to keep in my handbag for while we are out and about. My mum mentioned that she could do with one too so I decided to order her this super cute personalised one from Funkypigeon.com which arrived the next day which was fab! 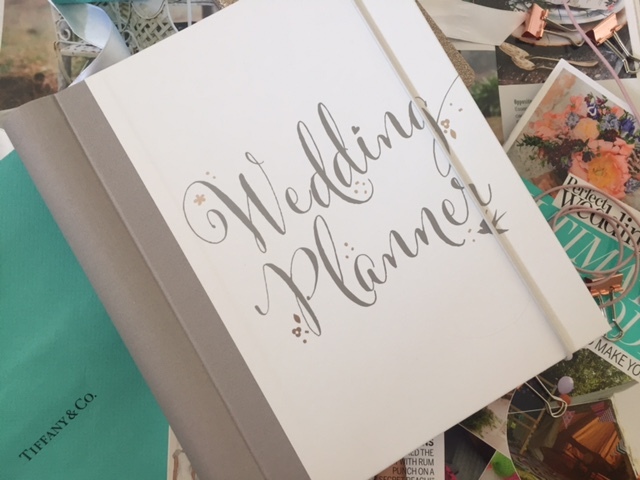 Im sure I will be updating the blog all throughout the wedding planning process so I hope you are looking forward to reading all about it and coming along on my wedding journey :D.